When I was eighteen I took my first boyfriend home for the University holidays. He was American and probably wanted the cultural experience of a north-east outpost for his scrapbook. Besides, he had nowhere else to spend the six month break. On arrival at my Dad’s, we awkwardly took our bags upstairs and paused on the landing. The cold side of the corridor beckoned for the boyfriend. The pillows in the room next to Dad’s were plumped for me. “I don’t want to know,” came the response from deep within a newspaper. I have reflected on this many times since, especially now I have become a parent myself. Dad must have been munching on his knuckles at the thought of his youngest daughter arriving with her goatee-bearded Yankee lover, but his reaction was worthy of the Modern Parent Award for all-round coolness. The Yank tucked his pyjamas under the plumped pillow next to mine, scarcely believing his luck. 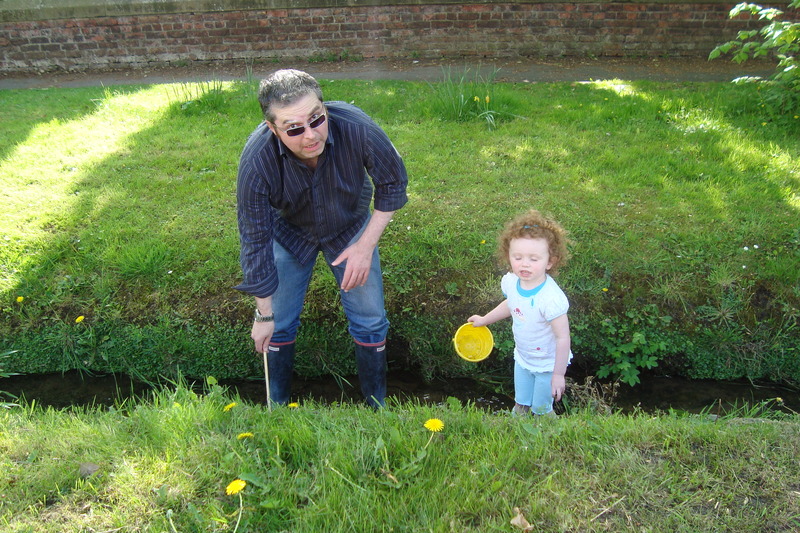 Of all the aspects of Mark’s death which saddens me the most – and picking just one is like playing Supermarket Sweep in the wine section – the relationship He has been robbed of with our daughter is the one which gets me the hardest. And, of course, the relationship she will never have with Him. For aside from the piggy-backs and tummy-tickles of childhood, He will not be there to guide her, faux-coolly, through the muddle of first boyfriends and other miniature disasters as she grows. Moreover, the conundrums of liberal Modern Parenthood will be mine alone to mull over. Thanks for that – thought provoking indeed. By the way, I don’t think I had a goatee at that point and juncture.